Using Cloud day in and day out! Lot has been talked about cloud and some big terms like PAAS, SAAS, IAAS, Hybrid, Private, Public terms have been also used by lot technical speakers. But then apart from software developers, software organizations or enterprise organizations who implements applications – what does fuzz around Cloud mean to a common man (who could be an IT guy)!!! 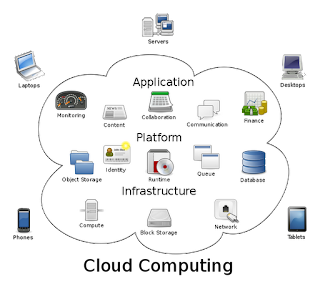 How do we utilize and exploit the power of Cloud Computing. (I am delibratly not getting into what cloud computing is all about – since that is not the subject right now : but in one sentence to narate it – its a powerful toy). So, let us think what do we do day in and day out – read newspaper, travel to office, check mails, publish files, maintain our personal information, track our tasks, connect with people, eat out and so on….. So, what if all these activities can be managed through un-conventional way which can improve over all experience and enhance our productivity? Well, we can do it by using Cloud. Yes, we can rely on lot of cloud based applications that can help us to improve our daily chores experience. Lets start with news paper through cloud based news services (Mash-able Google News, TOI, CNN Apps) – and we can do this through smart phones, kindles, iPads and now even with smart TV. Plus point of these services avalilable on cloud is that you can not access via all different sources but change made in our source gets reflected across all the sources and these services getting down is very rare. Traveling new places was never so easy with highly salable apps available on mobile, laptops, iPad that can navigate us anywhere. We can sync. our music and hear it any where using online various Microsoft / Apple / Android services. Checking emails on the fly is an utmost requirement and so is online document editing and publishing (Google Doc, MS Live are great tools for them). Managing to-do via Evernotes is so fantasitic that at times one would not mind having more things in the plate. One can add / update / view notes through desktop application, browser, mobiles in Evernotes that it makes paper and pen feel so negligent. And now with DropBox, Windows Live Sync and Google Drive sync-ing and viewing with their online viewer makes even hard-drive feel useless.